Choosing our frameless glass pool fencing is the most popular option for your backyard as it offers uninterrupted views of your pool area, which maximises the safety for your family. So, it only makes sense to have the hardware that compliments your Clear Az glass pool fencing. At Clear Az Glass Fencing, when we install your glass pool fence hardware, we use a 12mm toughened grade A safety glass stamped with the AS/NZS stamp of compliance, which is then secured with our Duplex 2205 polished stainless steel spigots. Our glass fence spigots feature extra-long barrels, allowing us to drill deeper and giving extra strength to the support of your fence. We also core drill into concrete footings and use HES high performance grout to ensure maximum strength for your pool fence. 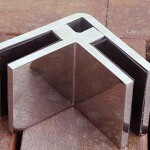 Our team will also install a glass gate, featuring stainless steel fittings. Our gates are mostly hung with self- closing hinges. All our gate hardware is made with polished 316L stainless steel, making it long-lasting and safe to use for the entire family. At Clear-Az-Glass Fencing, we not only supply you with a high level of quality service and precise installation, we source the best products which comply with Australian Standards AS2208 — safety glazing materials in buildings and AS1926.1 — swimming pool safety. We guarantee that the fence we install for you will not only be attractive, unobtrusive and stylish, but will also offer safety, security and peace of mind. 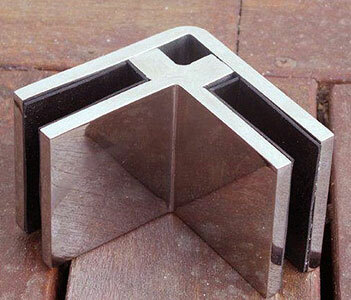 Want to find out more about our glass pool fence hardware? Contact our friendly team today!